If you are facing foreclosure you are probably depressed and highly stressed. Do not despair; however, there are helpful tips to avoiding foreclosure that just takes a little due diligence on your part. – The first foreclosure prevention step is contacting your lender. Lenders are not in business to take your home and they often will work with you to find a viable solution. Remember, however, that the further you get behind on your mortgage payments, the harder it will be to reinstate your loan. – Open all mail from your lender and take all phone calls. You will receive information from your lender about preventing foreclosure and pending legal actions. Ignoring these calls and letters will not give you an excuse or reason in avoiding foreclosure. – Find mortgage papers and study them so you know your rights. Research and find out about foreclosure regulations and timelines in your state. – Look online to find valuable information about foreclosure prevention or loss mitigation. – If you are in a low income bracket, contact your HUD approved housing counselor to determine what your options are. Housing counselors will help you know the law, find you options, organize your finances and negotiate with your mortgage lender. – Contact a mortgage attorney. You may be able to file bankruptcy to avoid foreclosure. Chapter 13 plans will reorganize your finances and roll past mortgage payments into the proposal. You will not be subject to foreclosure while you are under bankruptcy protection. – After healthcare costs, your house should be your first financial priority. Assess your finances and see what you can do to cut spending in order to make mortgage payments. Postpone payments on unsecured debt including credit cards until you have paid your mortgage. Paying your mortgage on a monthly basis is the right way to stop foreclosure. – Avoiding foreclosure may mean selling unused or unneeded assets. Whole life insurance policies, cars, jewelry can help bring in cash to reinstate your mortgage. All efforts can pay off when trying to demonstrate to a lender that you are seriously trying to keep your home. – Avoid foreclosure prevention plans and companies that try to steer you towards foreclosure refinance. For profit foreclosure prevention companies often charge you two or three months mortgage payments for services that your lender or a HUD housing counselor can provide for free. – Avoiding foreclosure means staying away from foreclosure recovery swindles. 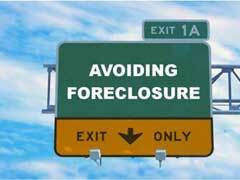 There are programs in the community that claim foreclosure can be stopped immediately. You may be required to sign a document appointing this firm to act on your behalf. Unbeknownst to you, you may be passing over the deed or future title to your property. You are now a tenant in your own home. Understand all the terms before you sign. Avoiding foreclosure can be impossible if your employment, health or personal situation is critical. However, there is still the possibility of buying a house after foreclosure by following several ideas. One is to wait at least two years before trying to buy a home after a foreclosure. Your credit score should begin to show improvement if you make sure you pay all bills on time and obtain a secure credit card that you keep current. Talk with lenders in your area about credit cleanup and save for a possible down payment. San Diego Foreclosures For Sale - How To Avoid To Get Scammed? How To Find Best Foreclosed Properties In Your Area?